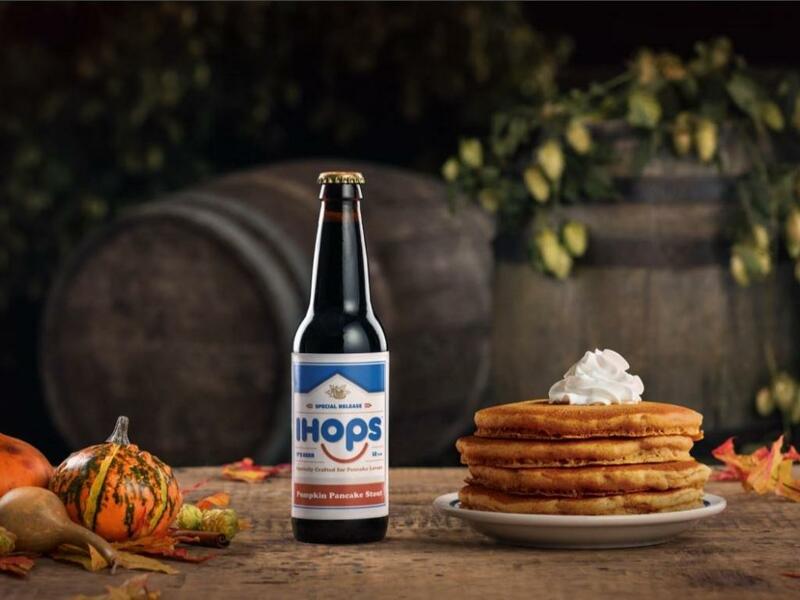 Interested in trying pancake-flavored beer? If so, Dine Brands Global Inc (NYSE: DIN)'s IHOP chain has you covered. 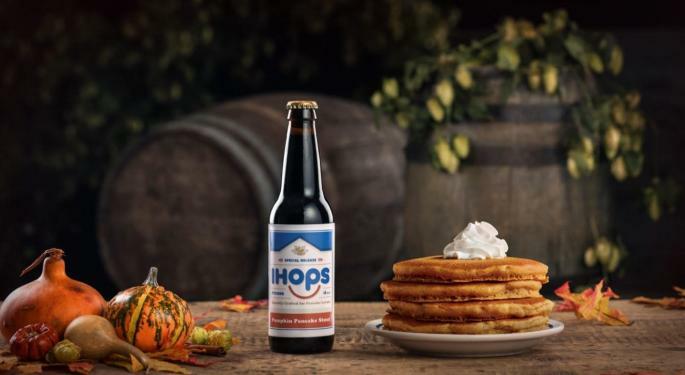 IHOP has struck a partnership with New York's Keegan Ales to sell IHOPS Pumpkin Pancake Stout beer. The company's buttermilk pancake mix is infused into the beermaking process, according to Fortune. Curious beer lovers will be able to sample the beverage at bars and festivals in the New York tri-state area as early as this weekend. Unfortunately, the beer won't be sold in stores. Who Else Made Their Own Beer? Coffee chain Dunkin Brands Group Inc (NASDAQ: DNKN) introduced DDark Roasted Brew late last year in conjunction with Wormtown Brewery. The beer is described as "full-roasted coffee flavor reminiscent of freshly ground beans with a creamy mouthfeel," according to Untappd. It was released Dec. 19 at exactly 11:28 a.m. at the brewery to coincide with the winter solstice. The beer scored 4.09 out of 5 among 218 Untappd users. Chicken wing chain Buffalo Wild Wings's launched its own line of craft beer in 2013 that's designed to pair with its food. The company priced its beer higher than domestic brands but cheaper than imported beers and expensive crafts. Today the restaurant chain is testing a new concept that allows customers to pour their own beer on a "Tap Wall." Although technically a grocery store chain, Amazon.com, Inc. (NASDAQ: AMZN)'s Whole Foods said in 2014 it would start making its own beer at one location in Texas in 2014. The concept expanded over the years and included marketing gimmicks like asking customers to name a beer made in conjunction with The Bronx Brewery.